The Amaryllis Dress can go from casual to party with just a flip. And the ingenious wrap construction means that even a beginner can handle this – no buttonholes and no zippers! This dress also features maximum twirl with great coverage due to the top circle skirt over a gathered underskirt. And the front tie helps adjust for a perfect fit. Slightly capped sleeves work well on their own, or over a long sleeved shirt for extra warmth. 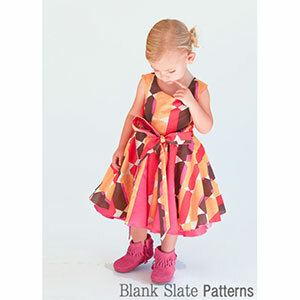 Available in sizes 18 months through 8 years. 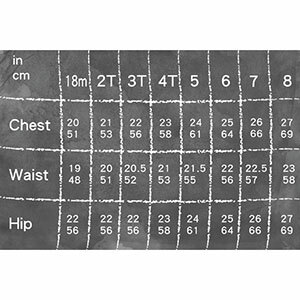 Suggested fabrics are light to mid weight wovens. Try any of our specialty wovens such as crepe de chine, rayon challis, peach skin and more.